If you have been engaged before wedding, and you wear an engagement ring, then you will need to take into account a few things. 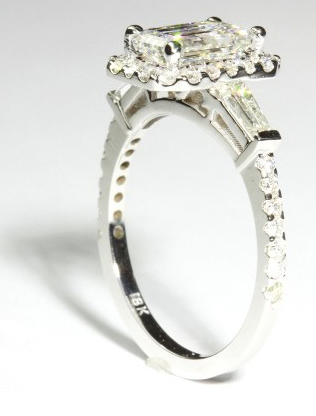 You will have to make sure the wedding ring that you select is in coexistence with the engagement ring your wear. 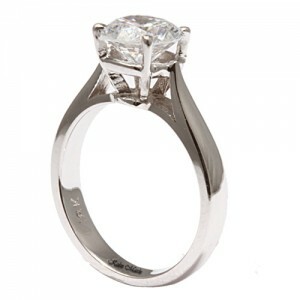 The design of your engagement ring will thus influence your wedding ring design in a big, big way. The wedding ring should complement the engagement ring, unless you want to distract the attention away from either of the two rings. It isn’t that you buy an uninteresting ring because you don’t want you engagement ring to look any less appealing, but the best way is to choose a wedding ring, which will complement (or blend with) the design of your engagement ring. The two should look like they were meant to be with each other, like you are meant to be with your partner. At our store, wedding rings and engagement rings are available in various designs and styles, which can make your shopping experience more involving. But you will have our experts guiding you all the way during you shopping spree and they will provide you with several options that will make your wedding ring match with the engagement ring in a very modern way. Listed below are a few tips that you (as a buyer) must keep in mind when matching you wedding ring with your engagement ring. Unless you want your hand to look multi-colored, the best and the easiest way to choose a matching wedding ring is to match the engagement ring by metal. i.e. 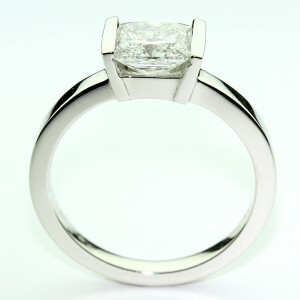 If your engagement ring is made of platinum then you need to be sure that you look for a wedding ring in platinum band. Or you can go in for a Two-tone wedding which may resemble to color and texture of the engagement ring. Some engagement and wedding rings are plain bands, but that’s rare, most of the rings incorporate colorful gemstones and diamonds. Thus, when buying a wedding ring, consider the shape and (if required, the size) of the stone on the engagement ring to match it with the wedding ring. The stones don’t need to match exactly in shape, but they should be complementing each other. Antique wedding rings look best and complement the vintage engagement rings the best, and modern wedding rings complement the modern styled engagement rings. Don’t try and do the alternate that may simple mar the choice. It is advised to single out the wedding ring designs that best blend with the style of your engagement ring and then select one from the lot. In addition to considering metals and stones of the engagement ring, you should also consider the bridal sets. Bridal sets really help in choosing jewelry because they incorporate the engagement ring and wedding ring into one amazing piece of jewelry. Follow these guidelines and when you’re done buying a new diamond wedding ring, you’d be glad you did! 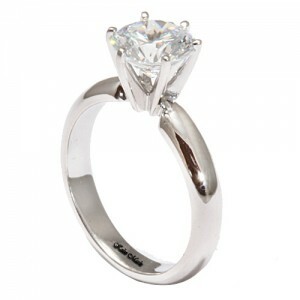 Above are the tips you need to take into account you have been engaged before wedding, and you wear an engagement ring. These points will make sure the wedding ring that you select is in coexistence with the engagement ring your wear.